As our dogs get older they need a little more care and attention. If your pup is getting on in years you may be wondering what to expect with an aging dog. Let’s take a look at what is important and how to take care of your dog as he gets older. The problem when it comes to our dog’s needs is that they can’t tell us what hurts or what isn’t working as well as it used to. Your veterinarian can be a great source in determining your pup’s needs as he begins to age, but you and your observations are even better. Pay attention to your pup, really get to know them, and observe any behavioral changes or signs of ill health. There are many things you can do to ensure these later years will be truly golden for your pup. As animals age, they often can’t “hold it” and need more frequent bathroom breaks. Other times they have trouble remembering to ask to go outside. It is important that you don’t lose patience with your loving and loyal companion. Instead, you could add an extra litter box inside to make it more convenient. Maybe a smaller, more shallow box can help an arthritic dog climb in and out more easily. Schedule extra outside breaks for your dog even if you have to come home at lunch or install a doggie door to a secured yard. Pick up water bowls two hours before bedtime and take your dog out before you call it a night. Reduce clean-up by lining dog beds with plastic. Help your pet and help yourself by doing things that will make for less clean-up. All dogs should have a special place of their own, but senior pups, in particular, should have their own dog bed in a draft-free, damp-free location – something they can easily get in and out of, but that also cushions their aching joints. Elevated food and water bowls may aid in digestion and prevent dogs from gulping down excess air. It also lessens the strain on older bones by reducing how far they have to bend down. A dog with (or without) hearing loss must be protected by being kept on-leash when out of the house or yard. As their senses dim your pup won’t be able to hear approaching traffic, children, or other animals coming near. When startled he may snap or bite out of fear. Teach everyone to gently stomp their feet to create a vibration your dog can feel and call out when approaching a hearing or vision impaired dog. Use hand signals when your voice can no longer be heard; flick kitchen lights to teach your deaf pet that it’s time for dinner. Blind pets rely on memory, so avoid re-arranging the furniture and install baby gates to prevent a tumble down the stairs. Think of other ways you can help. If arthritis is making leaps painful for your dog you could place a footstool or chair beside his favorite spot. If your dog cannot be on the go with you as much as in the past, make time for belly rubs and do whatever he can do… focus on shorter walks, a play in the yard, or just being together inside. Senior pets do best when they know they are loved and are still a treasured part of the family, so learn all you can and just really get to know your pup and his habits so that you can more quickly observe when something has changed. Internal changes can be detected by your veterinarian, so don’t skip an exam! Early detection means early intervention and can lessen the need for your dog to suffer unnecessarily. You should be aware of any behavioral changes in your dog. Dogs do not suddenly become old. Aging is a process affecting parts of the body and mind at differing rates. Given the various dog breeds, their range of activities and different life expectancies, one dog may age quite differently to another. 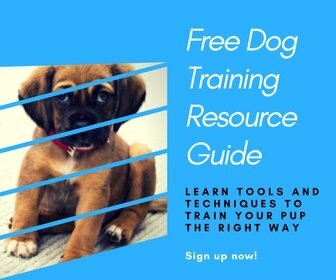 A good dog owner will know his dog and by observing any changes you can decide what actions are the most appropriate for the dog you know so well. Physical signs of the aging process do not always precede changes in an older dog’s behavior, but the physical signs are often the first that are taken seriously. Look out for some of these signs that your pup is getting older. The coat could gradually lose its sheen and not recover quite as well when groomed or bathed. A particularly poor coat in a normally well-groomed dog can signify something more serious health wise. Sight and hearing are fairly commonly affected as dogs grow older, to various degrees. The signs are usually obvious as the dog will begin bumping into things or not respond to his name or normal commands. Muscular deterioration, especially arthritis, is common. It is also painful but can be treated to at least ease the discomfort for your dog. The telling signs that often come first are changes in the dog’s behavior, but these are often overlooked or ignored. In fact, without worrying unnecessarily, these are the signs you should look out for in order to be able to react to curable illnesses. Many of the changes in your dog will be physical signs of deteriorating like eyesight and hearing, as noted above, but a responsible owner should be prepared to react to other more subtle changes as well. Here are a few changes you can expect in an aging dog. Many common illnesses such as skin diseases, tumors, cataracts, ear infections, and others, including diseases of the internal organs, can be treated, especially if detected and diagnosed early enough. That is why your observations can be crucial to your dog’s health. In many cases, an older dog continues to need stimulation rather than being left alone more just “because he’s old”. They will often need more love and attention as they age. Many day-to-day activities such as diet, exercise, and grooming should be continued, but perhaps more frequently and in moderation. So shorter walks, less food, groom more often so it is not such a big ordeal. Focus on less stress for your older pup. Changes to sleeping and traveling habits for older dogs may also positively contribute to their health and wellbeing. There are two further contributors to a decline in health of older dogs to be aware of. These can be addressed relatively easily. Dental health. You can prevent teeth and gum problems later in life by regularly brushing your dog’s teeth. Avoiding obesity. Get your dog’s diet right and make sure they are not overfed. This may involve reducing the amount of food as your dog becomes less active. With some consideration, good observation, and practical application, your older dog’s aging process can be made so much more comfortable. P.S. Help a friend with what to expect in an aging dog by pinning this!